Wanna know why I am SO MAD!! 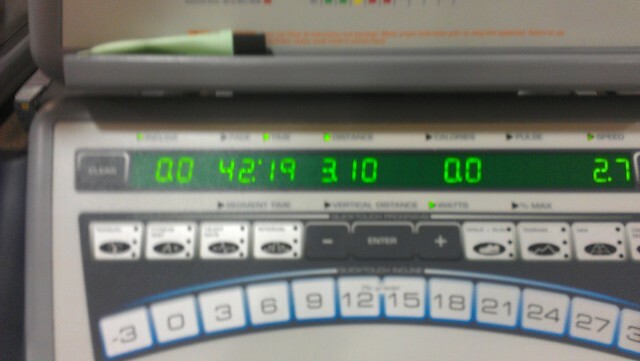 I ran my 3.1 miles today in 41:28 and I didn’t get a picture to prove it!!!! 41:28 is a 34 second “treadmill” PR. I was all excited about being in the forty one’s and I hit stop but couldn’t tell if it actually stopped, so I hit it again and it cleared the treadmill!!! ARRRGHHHH! I was so upset. BUT not enough to ruin my moment. This was a great run. It felt GREAT. I felt rested, strong, energized and excited to run. Nothing hurt while I was running and my breathing was spot on. One of those runs that you wish they could all be like. During mile 3 I ran a few times for 4 minutes b/c I just felt like I could run longer so I did. It felt GREAT. One thing that I do think contributed….look who’s back….. I was just not liking my new shoes. I think I might be kicked out of girl-dom b/c what girl says that??? I realized that I was dreading runs b/c I didn’t want to run in them. And then I woke up and realized that I don’t HAVE to run in them. I know, shocker right? I do have other shoes and can run in those. So I did. I DO think that I probably shouldn’t be running all the time in these shoes, so I’m going to take the Saucony’s back and see what I can find that is somewhere in the middle of lightweight and stability. With the amount of choices they have I am sure they will have something that feels right. 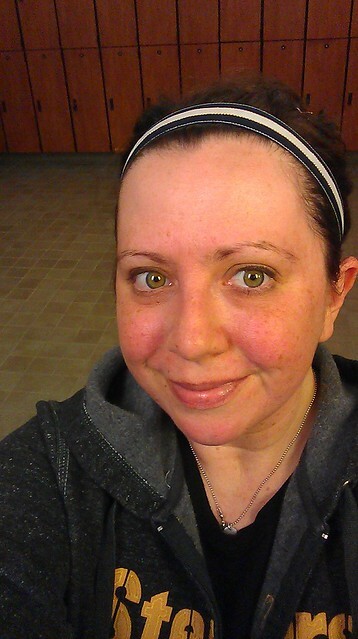 Don’t be fooled, I look all sweet and happy, but inside I was wanting to kick that stupid treadmill for resetting on me. Doesn’t it know I have a blog to write and I need pictures. Sheesh!! 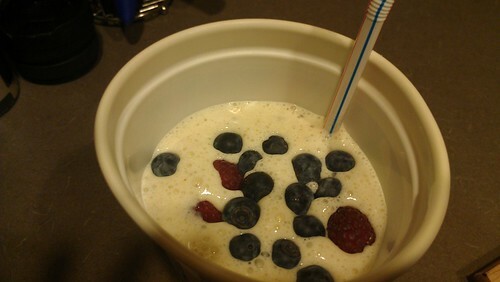 Yesterday I made the yummiest protein shake. 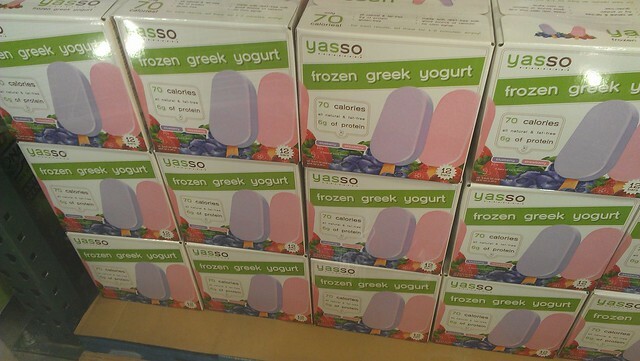 I have found that if I have one of these in the morning I stay full for a looooooong time. And the best part is I can drink it on my loooooooong commute so it saves me time. Why I have never thought of this before beats me, but its one (of the many) reason that I enjoy reading healthy living/running blogs b/c I find awesome ideas like this! I get a little crazy with them. I just want to add everything. So I do. One day I will have awesome lighting in my house and my pics will win prizes. Until then, you get this. Sigh.